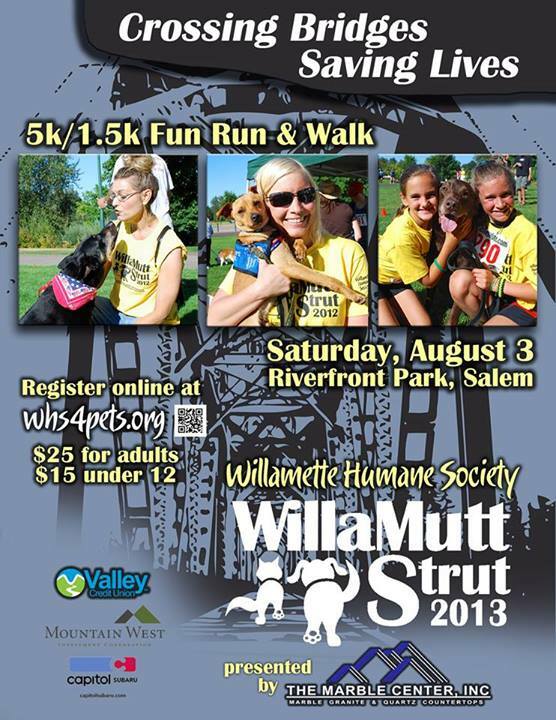 First of all, let me remind everybody that on August 3 we will be having our second annual WillaMutt Strut Fun Run & Walk! 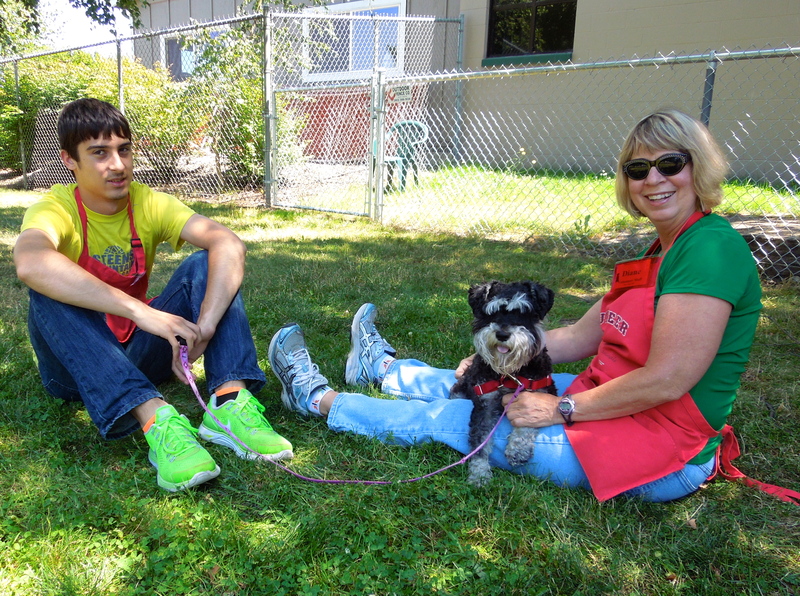 It’s a blast and a wonderful fundraiser for our shelter dogs at Willamette Humane Society. It will again start at Riverfront Park in Salem. 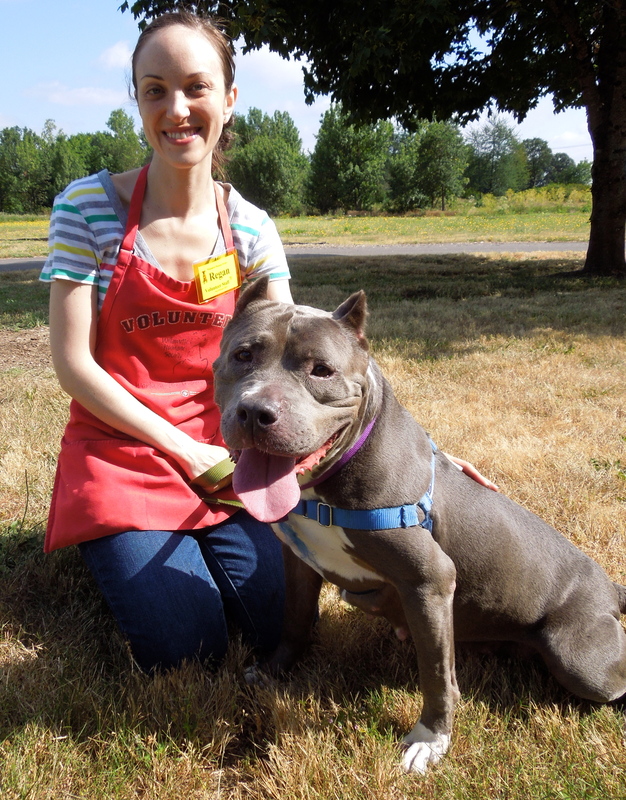 Here’s what volunteer Krystal, who first suggested the event last year and has worked tirelessly to make it a success, says: We would very much love to see you and hopefully your dog(s) also. If you’re squeezed for time that Saturday, you can be in and out by 10 am if you have to. 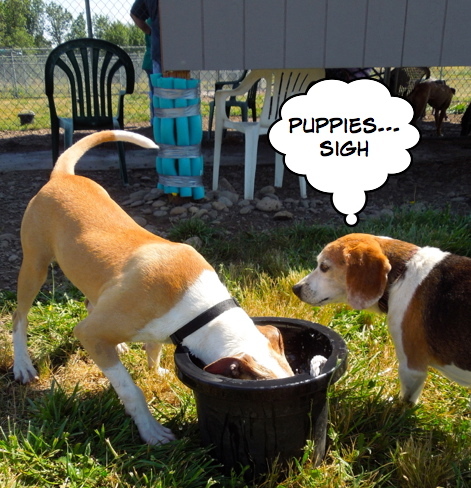 If not, stick around and join in the dog games and contests or visit the great vendor tents. Our very own Dave Porter will be MC’ing and all funds go to support our local animals as they transition and wait for their forever homes. Sign up soon to guarantee yourself one of our fun t-shirts. 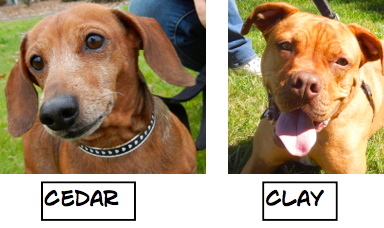 Just go to www.whs4pets.org. I’ll be there taking pictures again this year and hope to see many of my blog readers and their dogs! 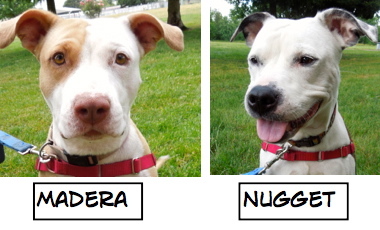 We had another week of great adoptions! Here they are. I was so happy that I was at the shelter when Princess’ family took her home. Here they are. Such a lucky pup with two boys of her own! 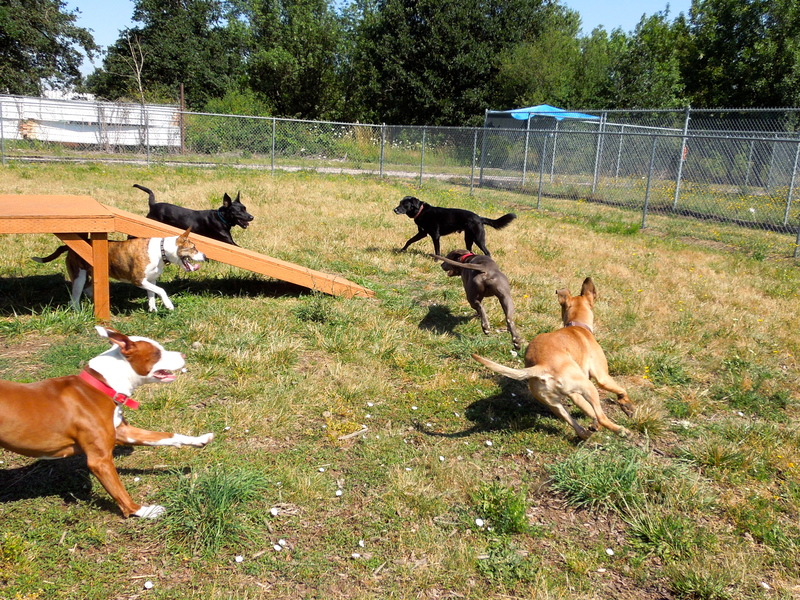 Play group on Sunday was extremely active and fun. 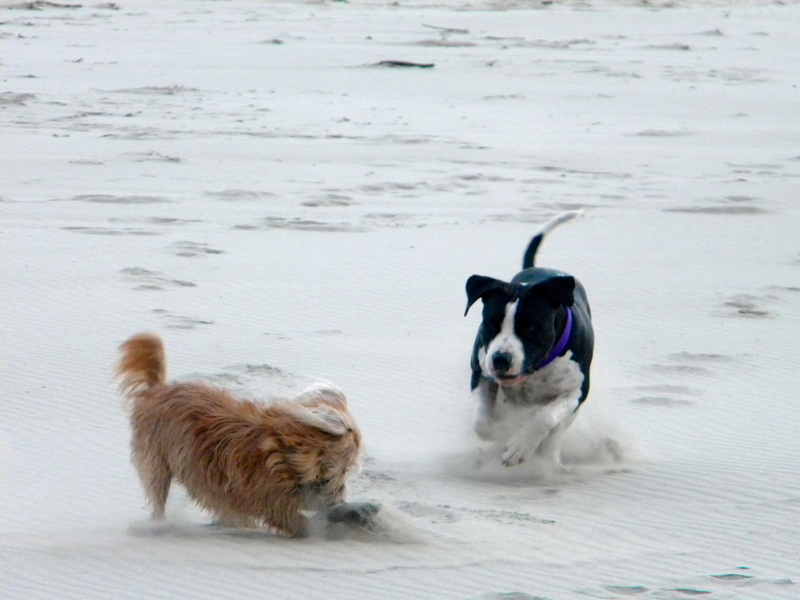 We had small, mellow dogs in one yard and bigger, rambunctious dogs in the other. Here is a sampling of the chatter. 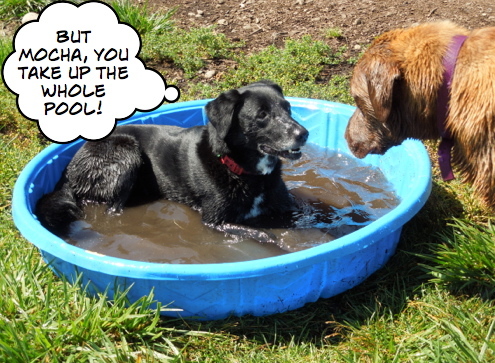 Some weeks the kiddie pool is more popular than others. Princess kept putting her whole head into the water bucket. No one knew why. 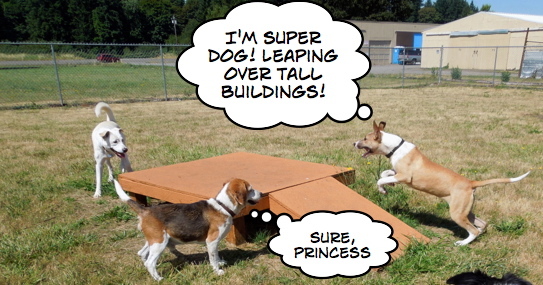 Princess also had grand illusions. Rudy wanted a little alone time in the water. 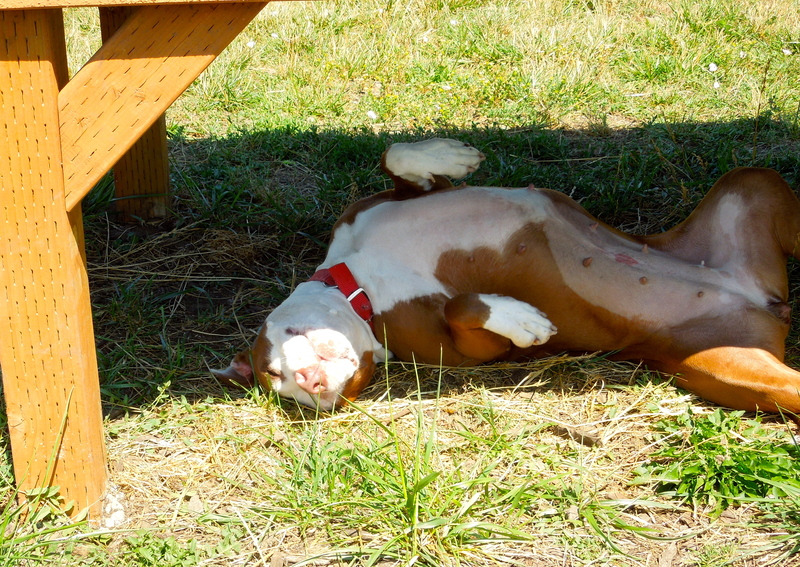 After lots of romping, Liza decided to relax in the shade under the platform. 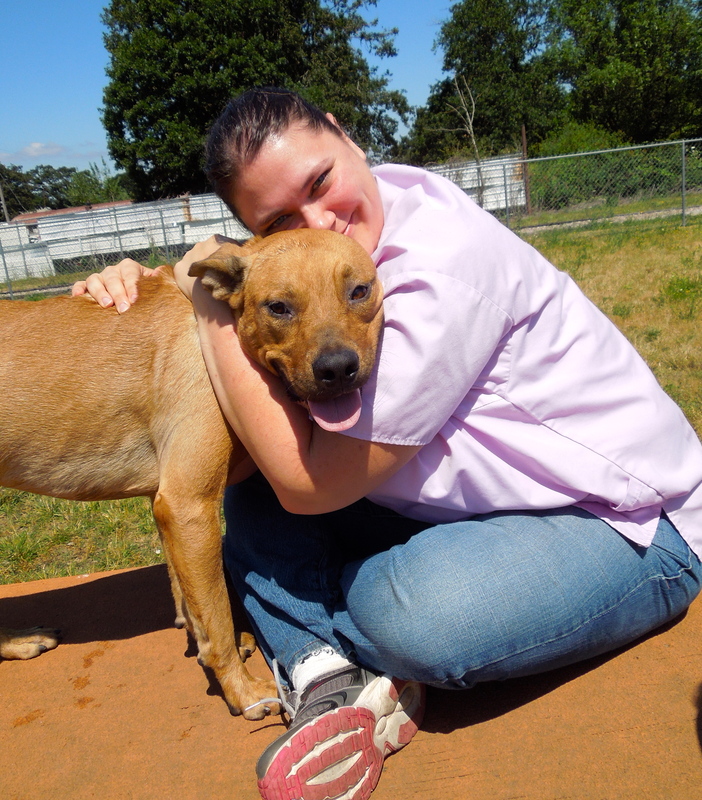 I love this picture of staff member Kim and Jax. We have such caring people working at WHS! Little Basil hung out at the fence watching the bigger dogs playing. After play group, Linda, Sarah, and I decided to take Axel and Linda’s foster dog, Will, with us for lunch at Panda Express. 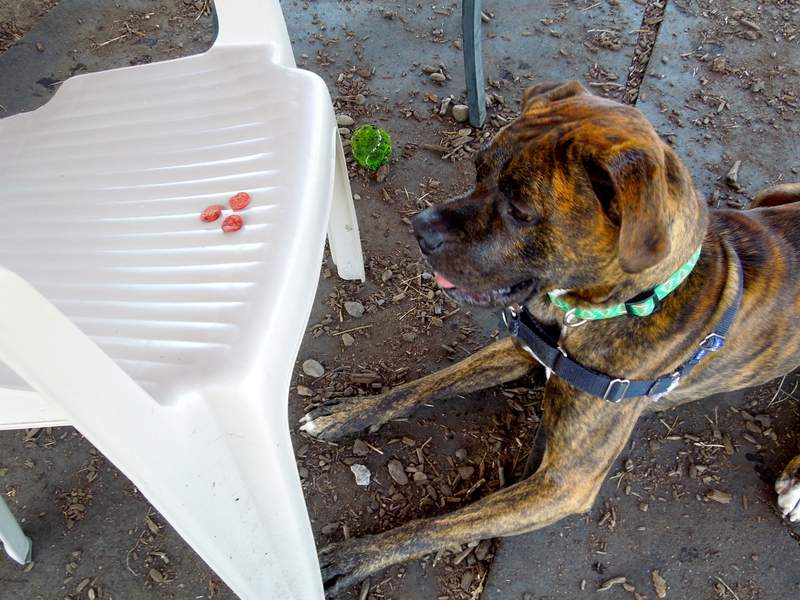 We sat outside and Axel was so good! 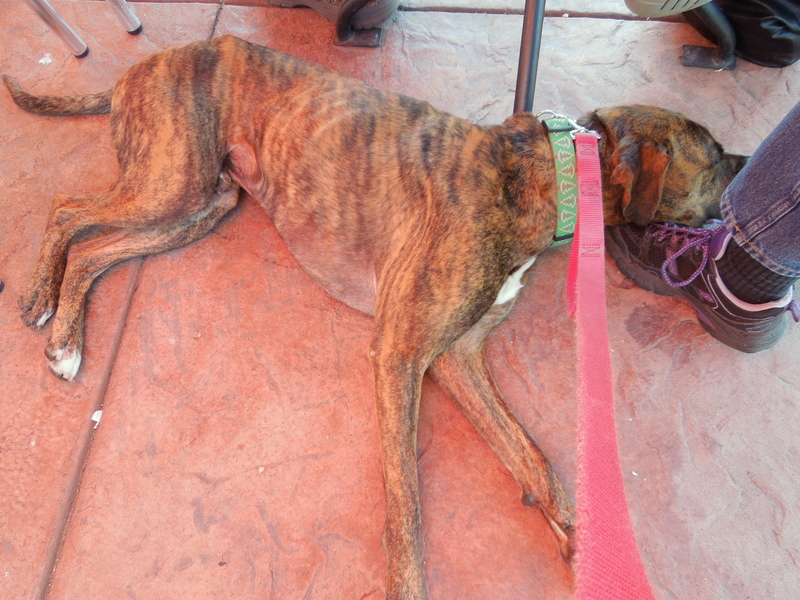 He sat or lay down while we ate. It was good for him to get out of the shelter environment for awhile. There will be more on Axel later in this post. 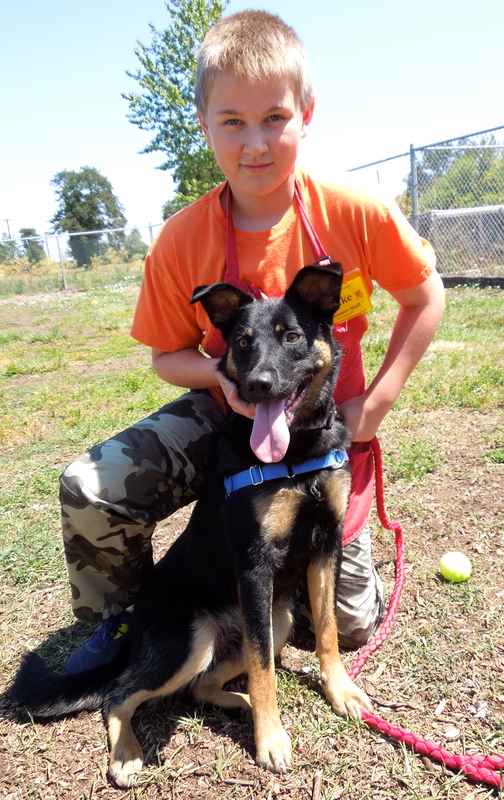 The first walking team I saw Sunday afternoon was Luke and Rocket, a beautiful eleven-month-old German Shepherd mix. Not even a year old, Rocket is still a youngster and it shows. He will need someone willing to put in the time and effort to work with this high-energy boy so that he’ll grow into the devoted friend he has the potential of becoming. 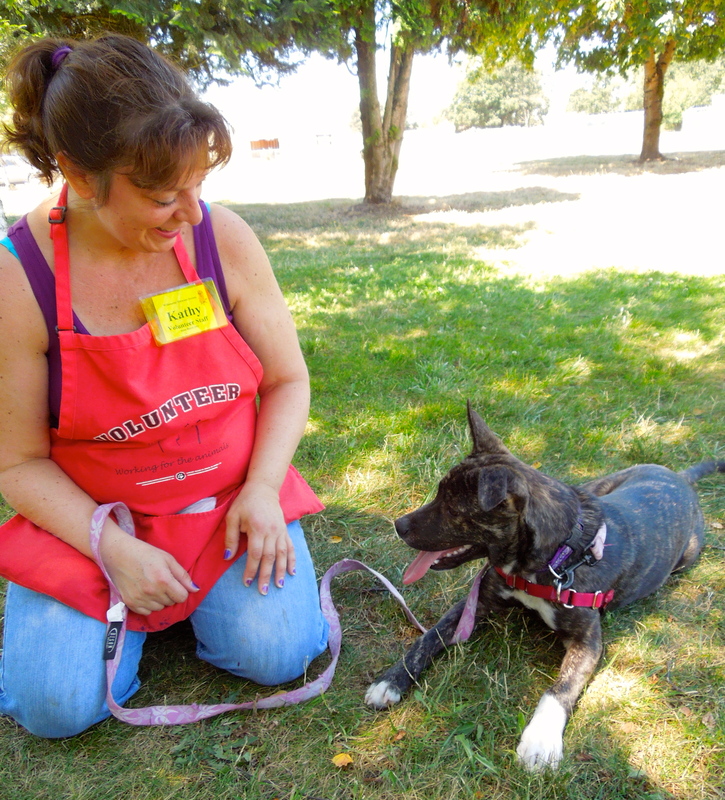 Our WHS training classes would be perfect for Rocket. He needs work on impulse control and focus. 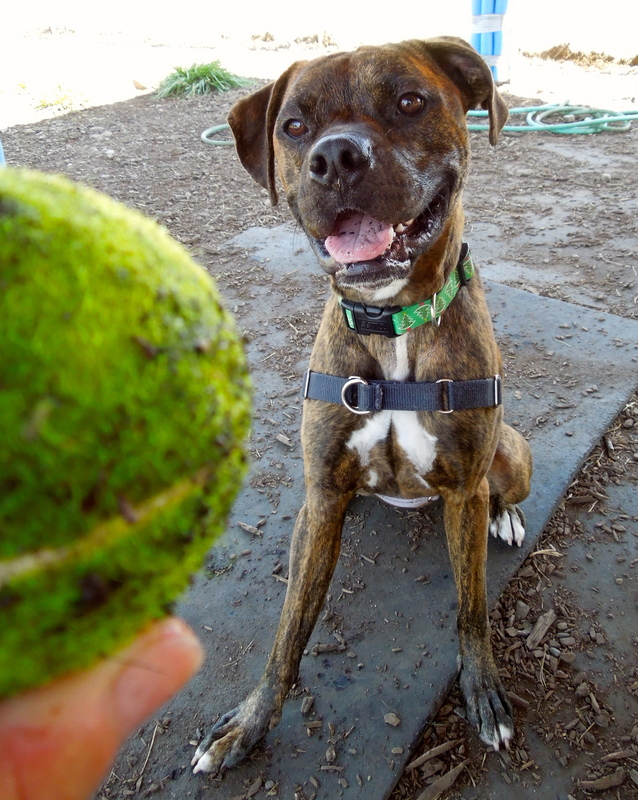 He likes to play ball, and after training will love to hike and run with his people. 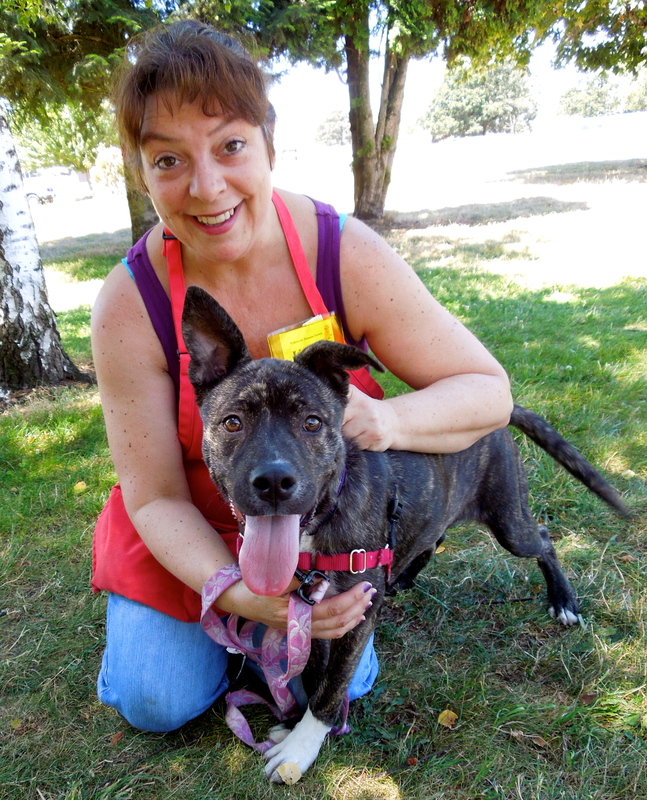 For someone who is looking for a young dog to train, Rocket would be a perfect match. Luna here…still here, that is. Luna got two walks Sunday afternoon which she loved. First, Regan took her out for a stroll. 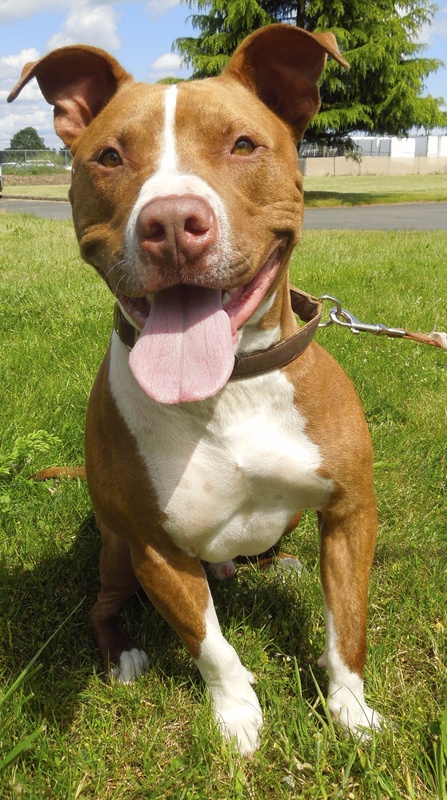 Luna is a four-year-old Pit Bull Terrier mix who has been waiting for a new family since June 7. 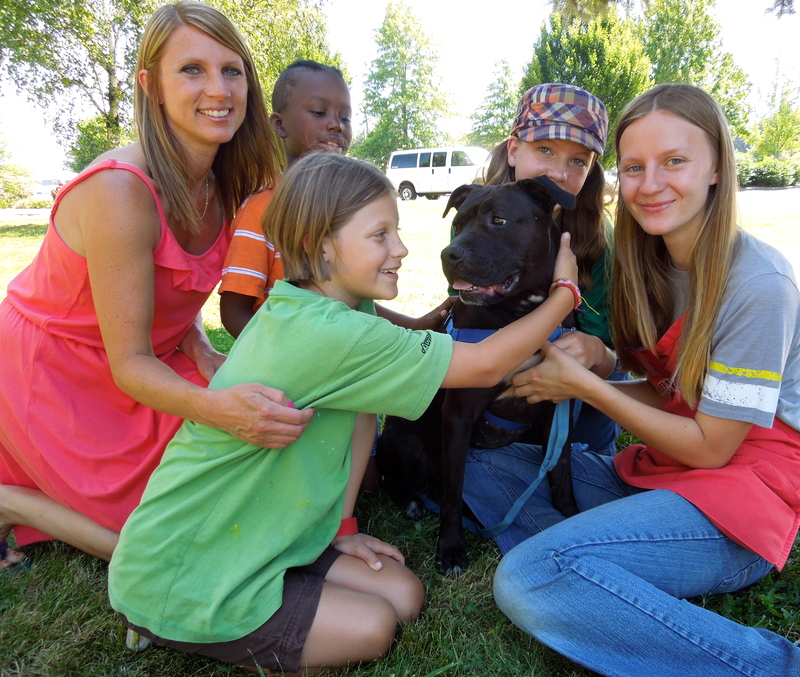 She had been adopted before, but her family could not keep her any longer and so she came back to us. Luna has lots of energy but also likes to hang out with people. She should not go to a home with small animals or cats, however, as she thinks they are toys. She has been working on her leash manners since coming back to WHS. She is always eager to pose for my camera, hoping the right family will see her picture and come and take her home. She sits at the front of her kennel, ever optimistic that she’ll soon be adopted. Here she was a little while later on her second walk with Elizabeth and Nick. See what I mean about her posing? 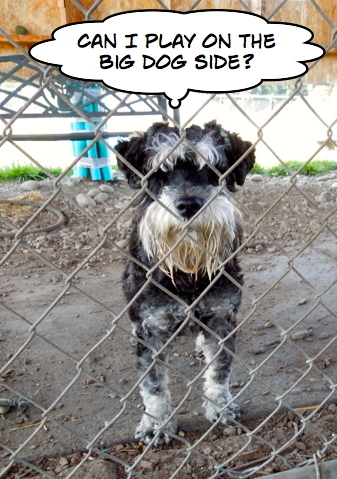 Are you a Schnauzer person? Need a new best friend? I’m really surprised that little Basil is still waiting for his new family. 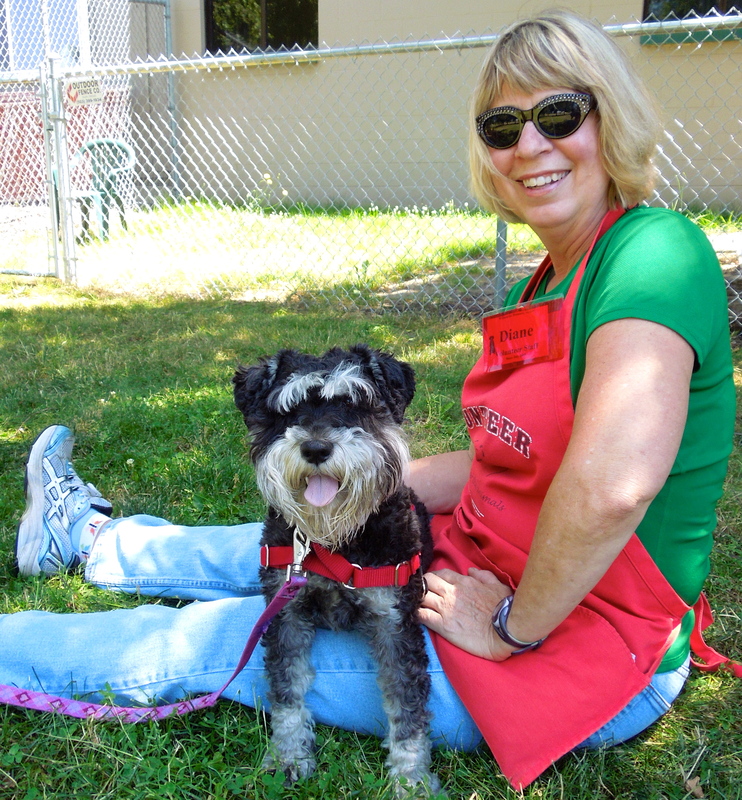 He is a six-year-old Miniature Schnauzer mix who is easy-going and affectionate. Diane and Andrew spent some quiet time under the trees on Sunday with this little fellow and fell in love with his gentle personality. He was totally content just sitting in Diane’s lap. 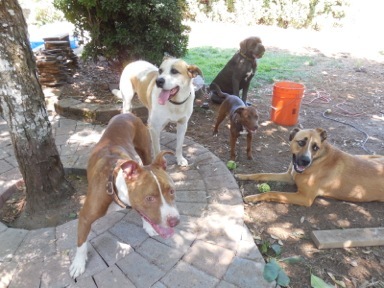 He gets along well with other dogs and had a fun time in play group. I hope someone wanting a cute and calm companion will discover him soon! I’m out of ISO! I’m out of ISO! 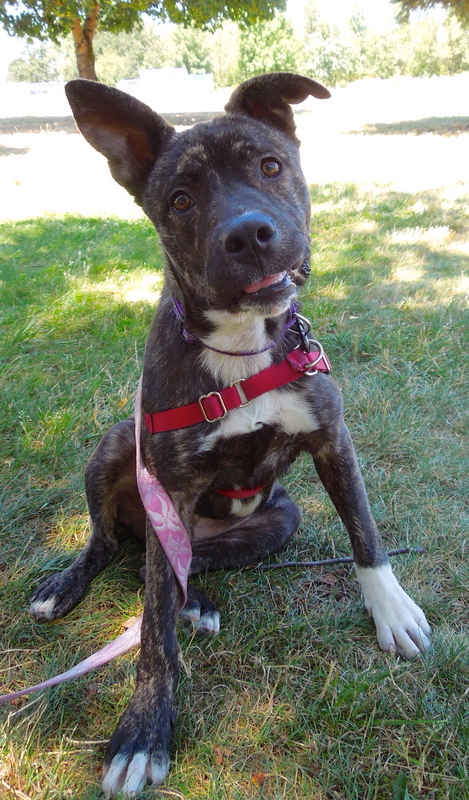 Little Rainbow, a six-month-old Pit Bull Terrier mix puppy (a S.T.A.R.T. dog), has spent the last few weeks getting over being sick and now she is well and ready for FUN! This bundle of energy is looking for a family who wants to take on the joy and challenge of raising a puppy. 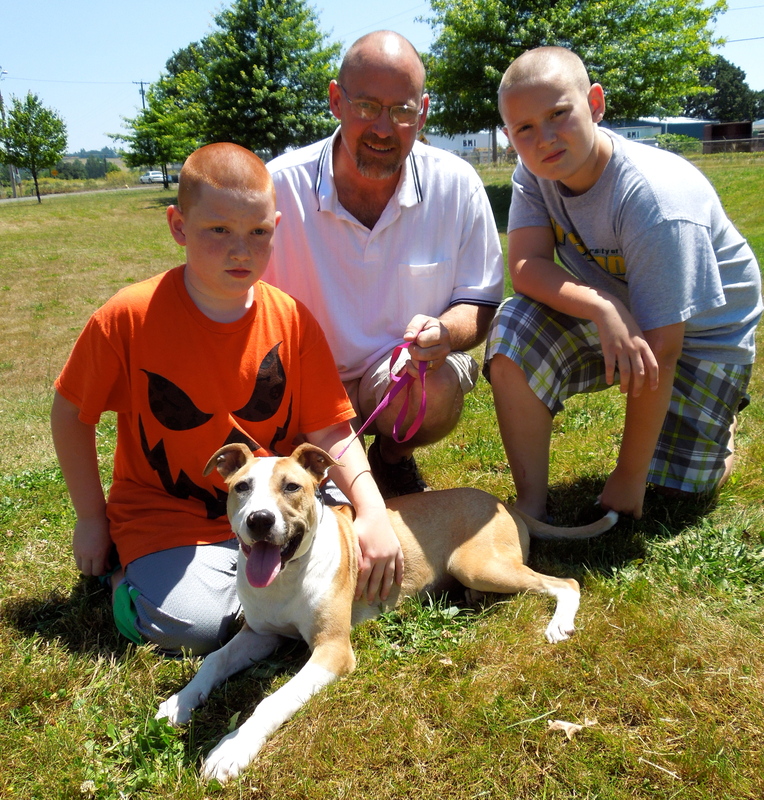 Rainbow’s adoption package includes WHS puppy classes which will put her and her new family on the road to success. 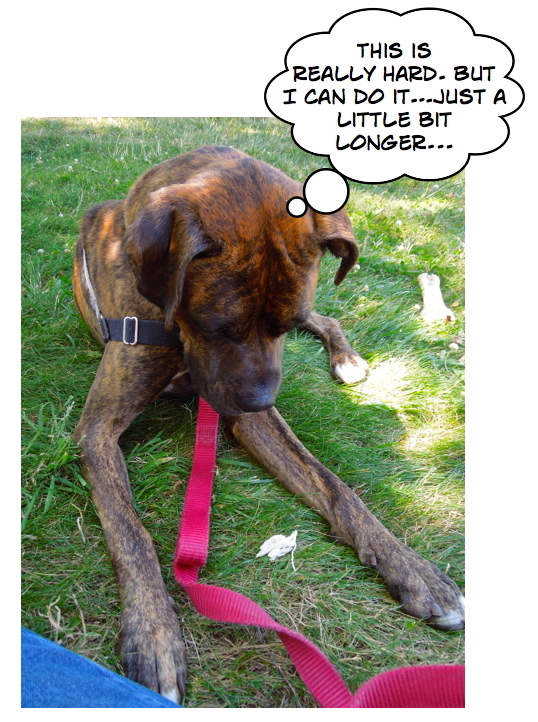 Today she had a wonderful time with Kathy playing and practicing walking on leash. She is a delightful little girl and is so happy to be back in the action on the adoption floor! Looking for a water dog? That would be ME! 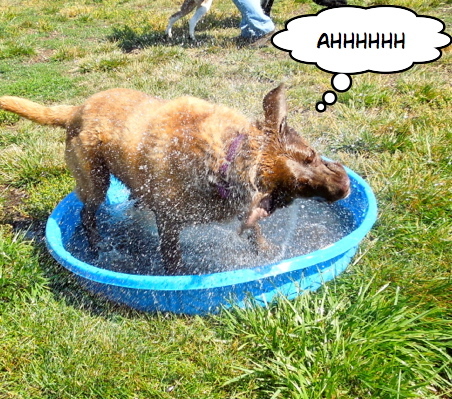 Rudy LOVES the kiddie pool in the big yard. 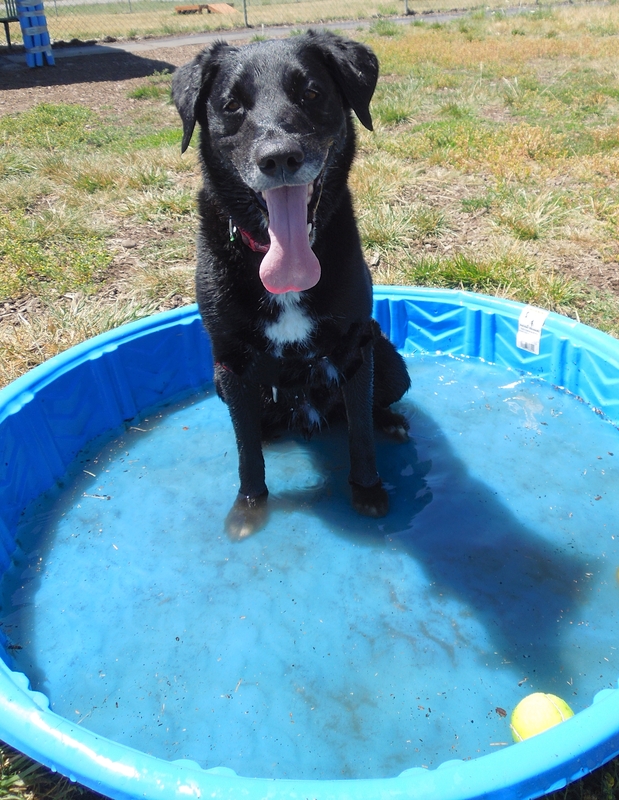 Today Steve spent a long and happy time with Rudy playing ball (yep, he’s also a ball dog) and letting him splash and lie in the pool. 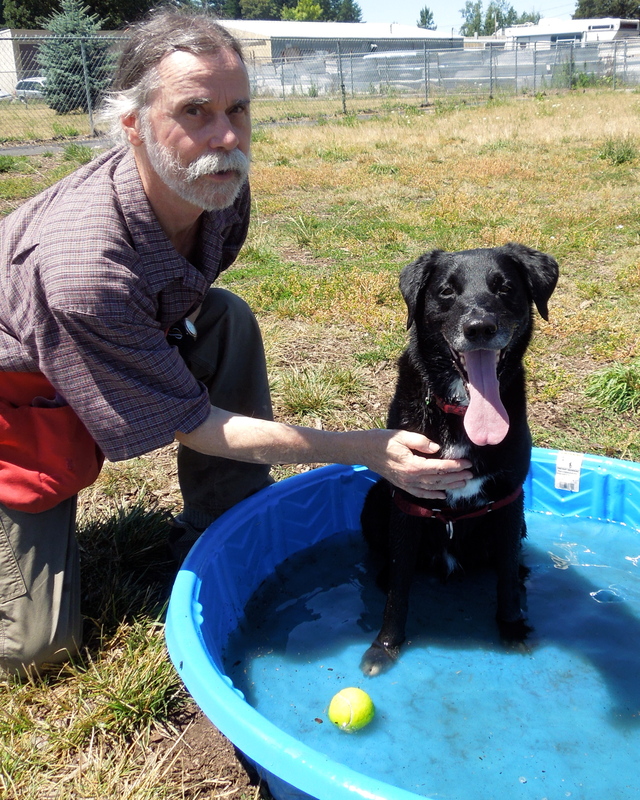 Rudy is an eight-year-old Lab mix, but you’d never guess his age watching him play. 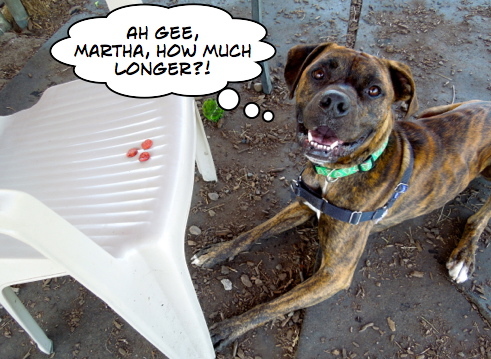 He is an eager, happy dog who will be a new best friend for some lucky person. What a good boy! I smile all the time! For regular readers of my blog, you’ll recognize Jax from previous posts. He has been at WHS since mid-June. Today he spent some time with Richard. 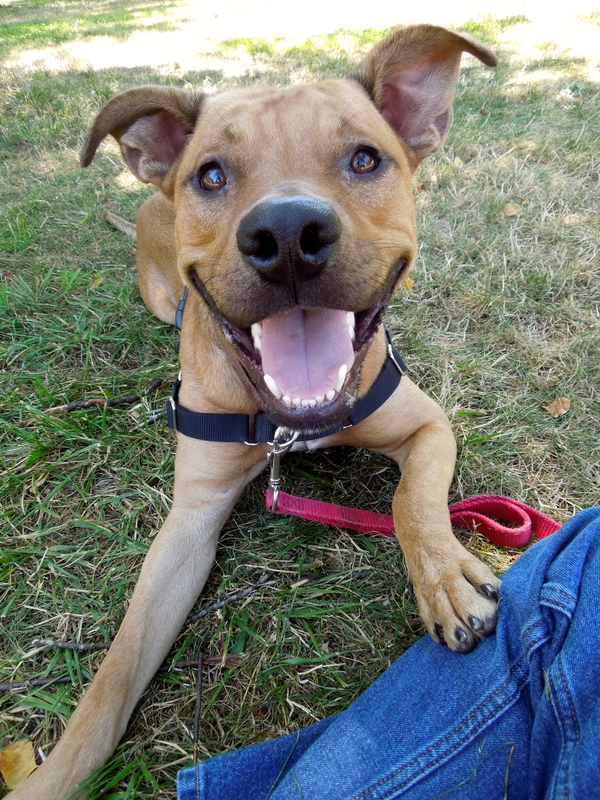 Jax is a one-year-old Pit Bull Terrier mix. Not surprisingly, he has a lot of energy and loves to romp. His kennel presentation needs work (I had a talk with him about it this afternoon) but once outside, he is a terrific boy. Jax was Richard’s last dog, so I took him over when Richard left and spent some time with him in a yard, then relaxing under a tree. After a spirited game of fetch (he brings the ball back to you very well), I was pleasantly surprised at how he calmed down and sat relaxing with me on the lawn. He munched hot dog bits politely as I explained to him that he needed to let potential adopters see what a quiet, gentle dog he can be. This is the sincere look he gave me. 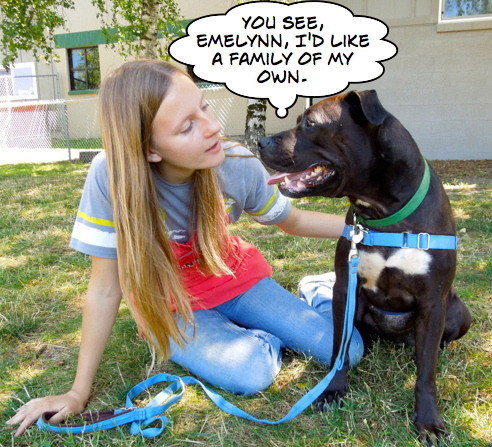 He really will be a great family member if people can look beyond the stress he feels in a shelter kennel. 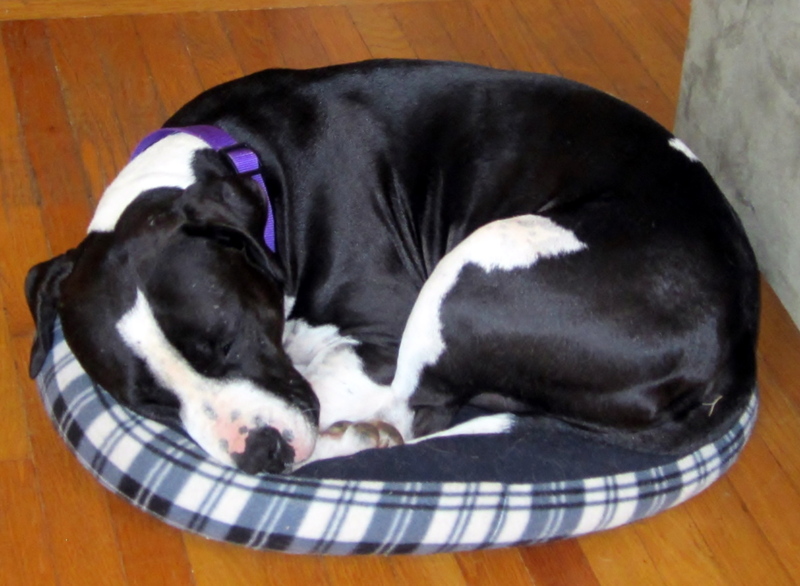 Meet Lola, a five-year-old Pit Bull Terrier mix who just returned to the shelter from foster care. Emelynn and I both immediately fell in love with this sweet girl. 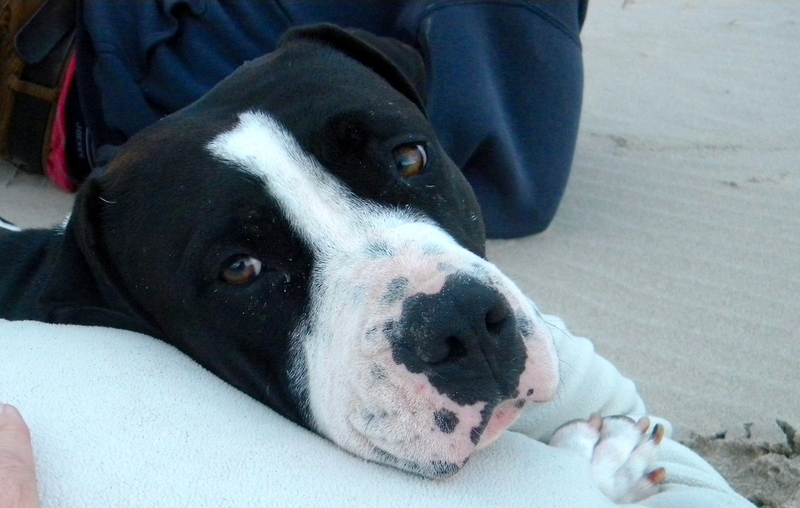 Lola is a gentle, quiet soul who walks perfectly on leash and enjoys just sitting with a person and relaxing. Emelynn couldn’t say enough good things about her. In fact, after spending a long time with her early in the afternoon, Emelynn took Lola out a second time. 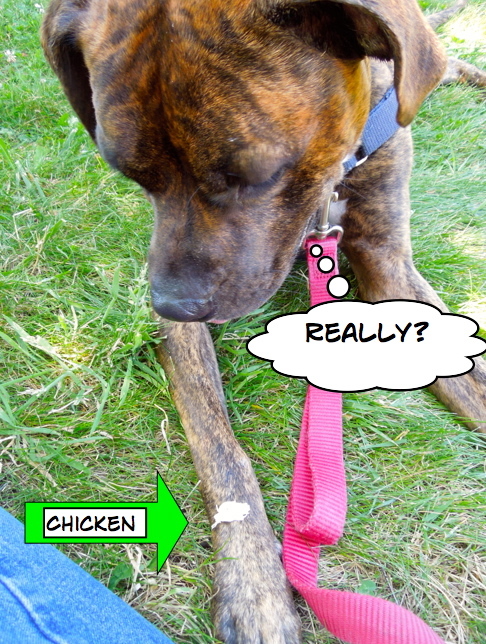 This series of pictures tells the story of Lola’s afternoon. Yep, I had to get into the story. 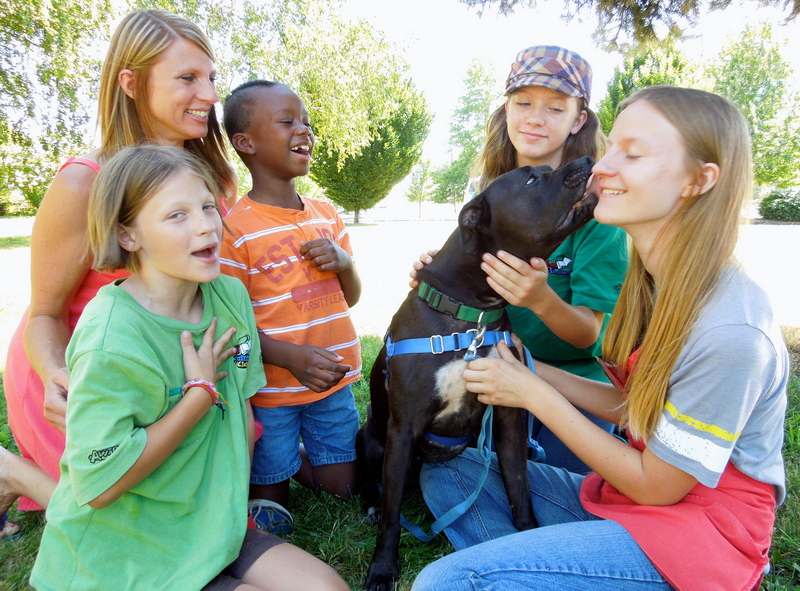 When Emelynn’s family arrived to pick her up, they were smitten with Lola, too! Gilbert is thrilled to return to Jolene’s house! 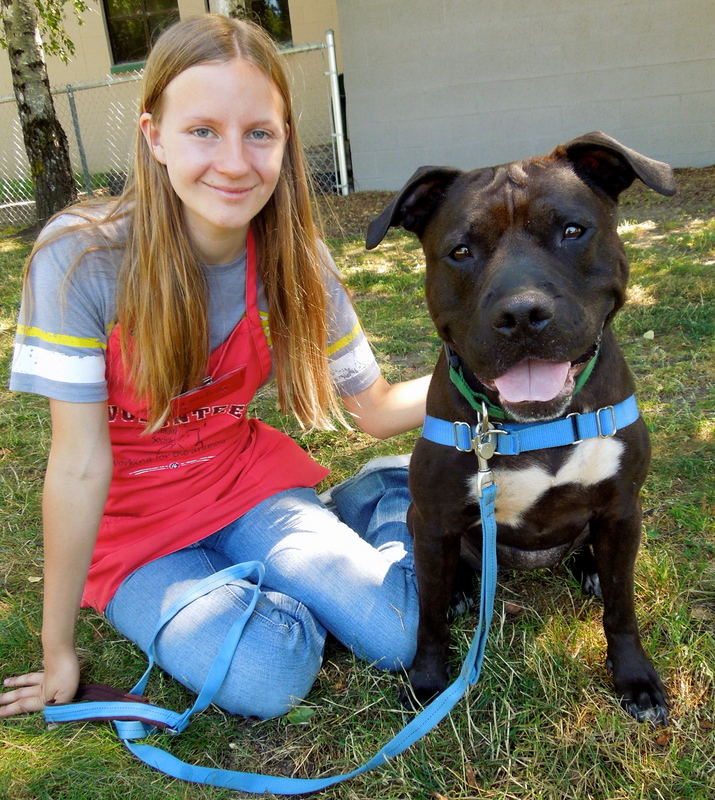 As you know, Gilbert, the two-year-old Pit Bull Terrier mix who volunteer Jolene fostered for several months after his shoulder surgery, has been back at WHS for several weeks. 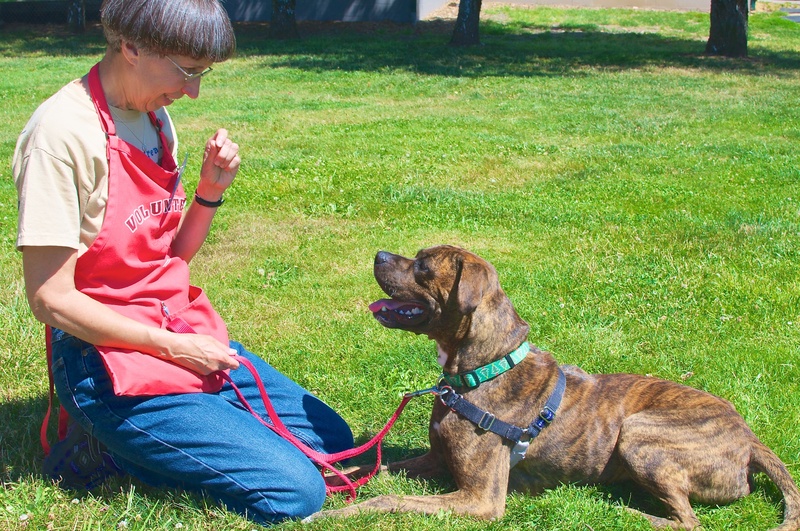 Shelter life has proven to be very stressful for this big-hearted boy. His kennel presentation was not the best and potential adopters didn’t get a chance to see what a great dog he is outside of the shelter. 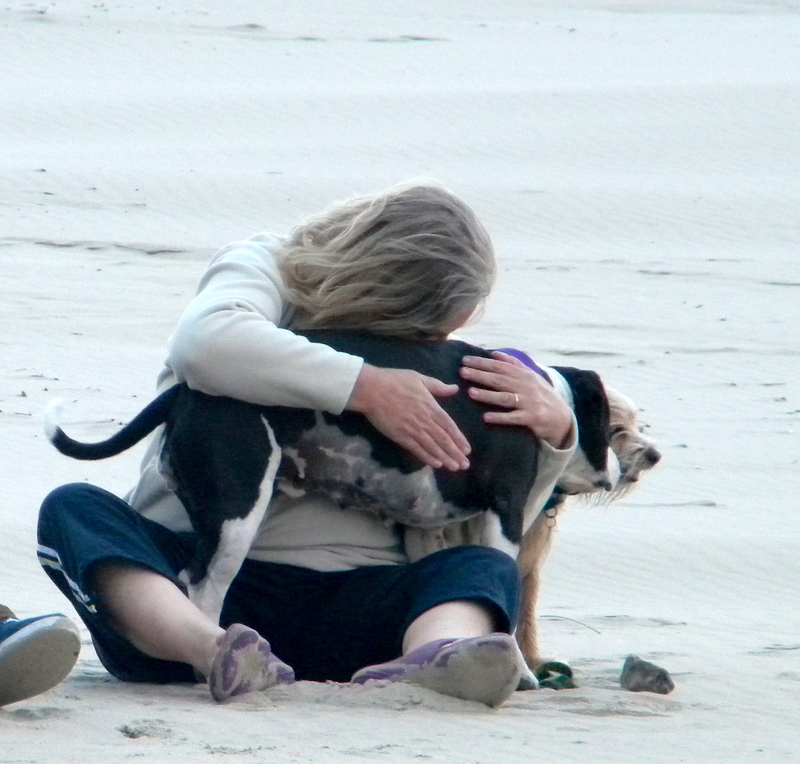 So, Jolene decided to take him back into her home for fostering. He is still available for adoption, and interested people can make an appointment to meet Gilbert by calling WHS. I’ll be putting weekly updates about him in my posts. We are hoping that someone will realize what a special dog Gilbert is and will want to meet him in person. Here is Jolene’s first update from today. The last part of my Sunday afternoon at WHS, I spent as usual with Axel. 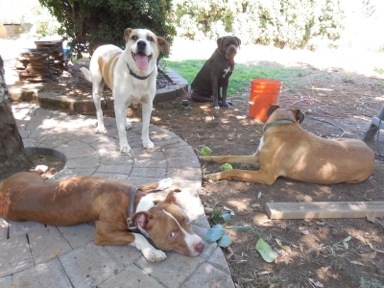 We worked on getting outside without barking, leave it, stay, and relaxing when other dogs are being walked. I went again yesterday for another session with him. And, of course, I spent time with him today. Here are some pictures from our times together. 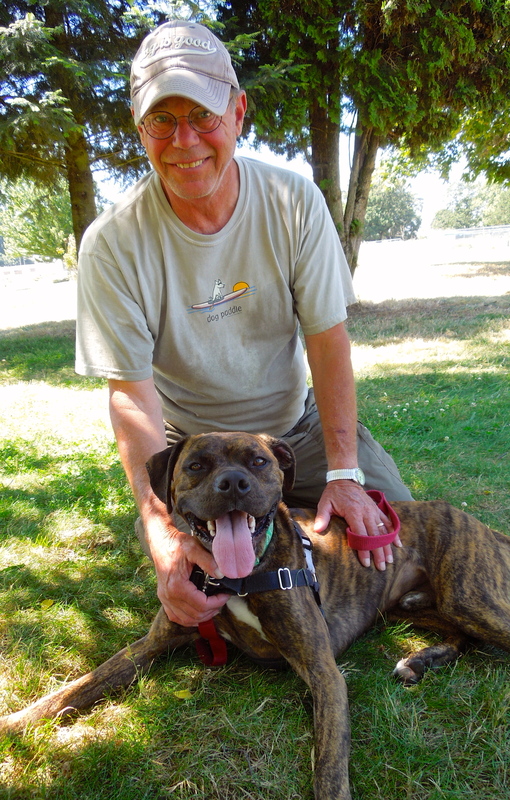 As you know, Axel is a two-year-old Boxer mix looking for someone who will continue his training. 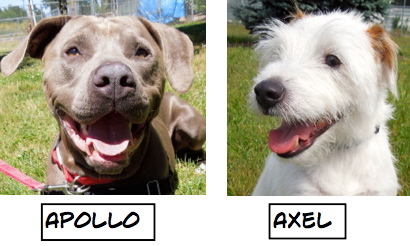 Those of us working with him (Team Axel) to make him more adoptable feel he has made great progress. 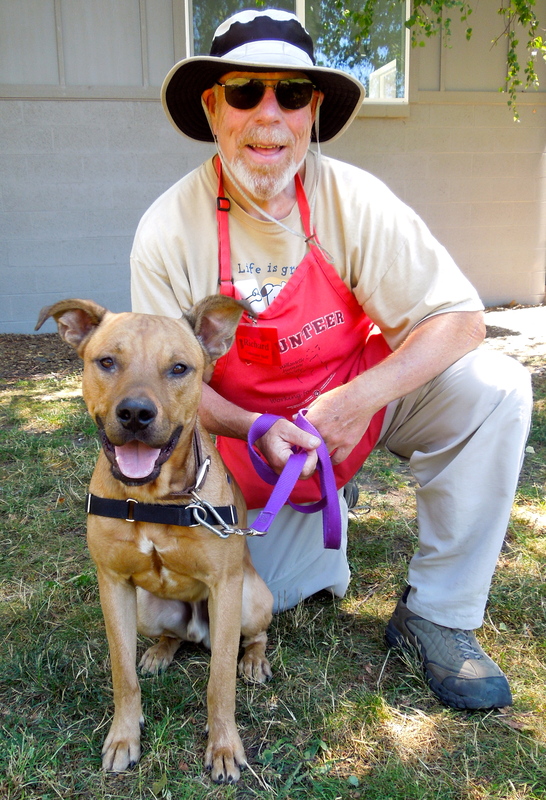 Our friend, volunteer Patrick, stopped by to visit. 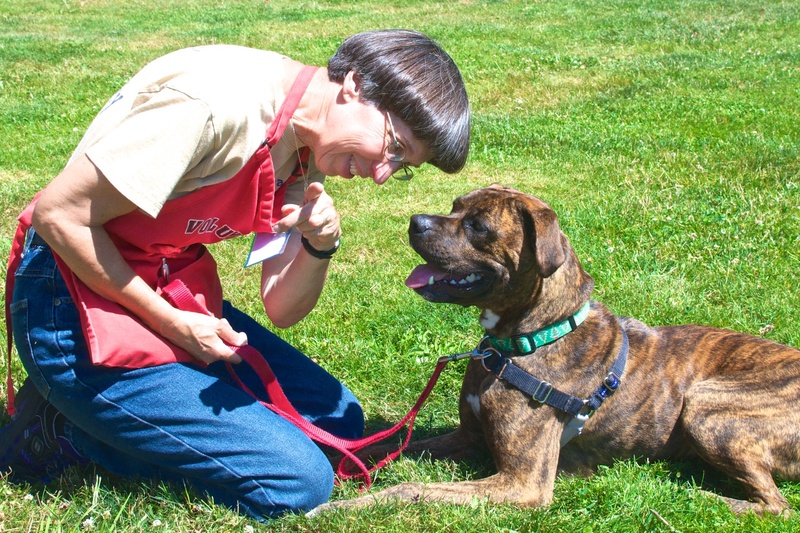 Remember Mia, the Wings of Rescue dog who won the hearts of everyone she met in the short time she was at WHS? 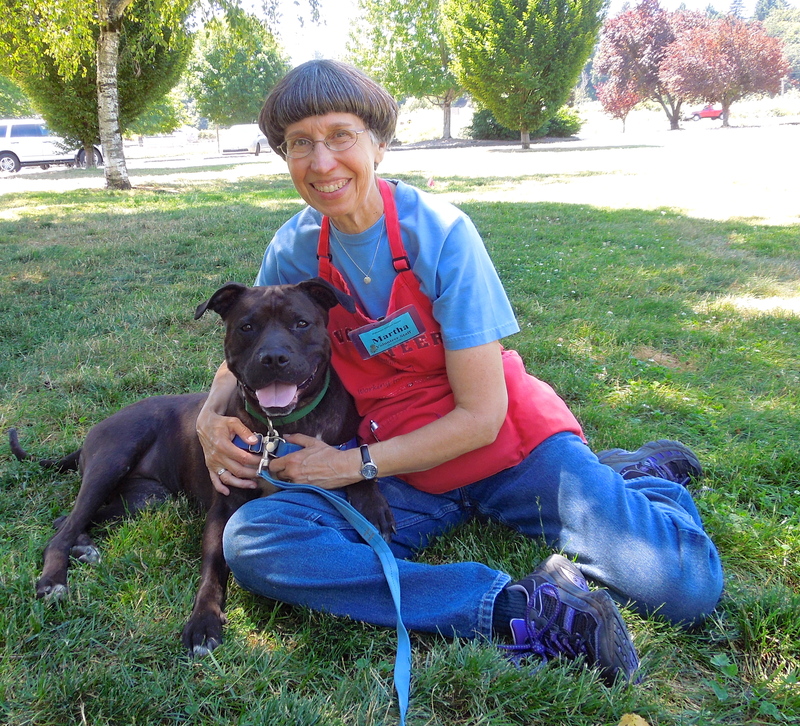 One of our own volunteers adopted her and sent this wonderful update, written by Mia herself! Nice to enjoy this blog with my cup of coffee this morning 🙂 I loved the seeing Gilbert thriving so well at Jolene’s house. Thank you Jolene! 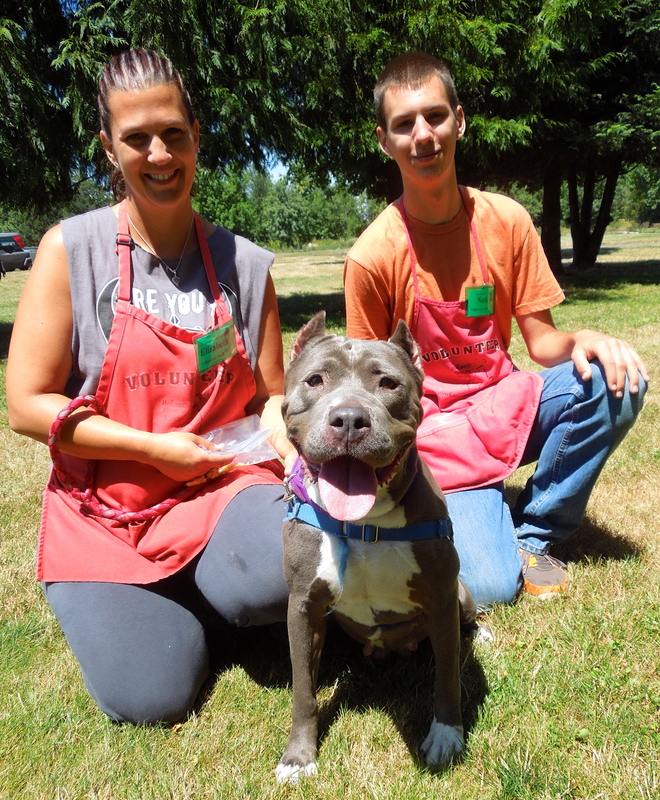 It was also nice to see that Mia found herself a really great family and a happily ever after. Another enjoyable blog. 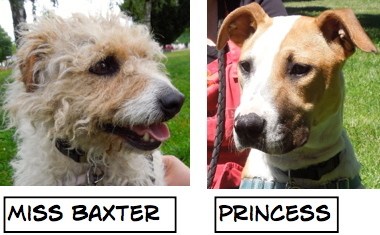 Amazing how well some of the dogs do away from the kennels at WHS. 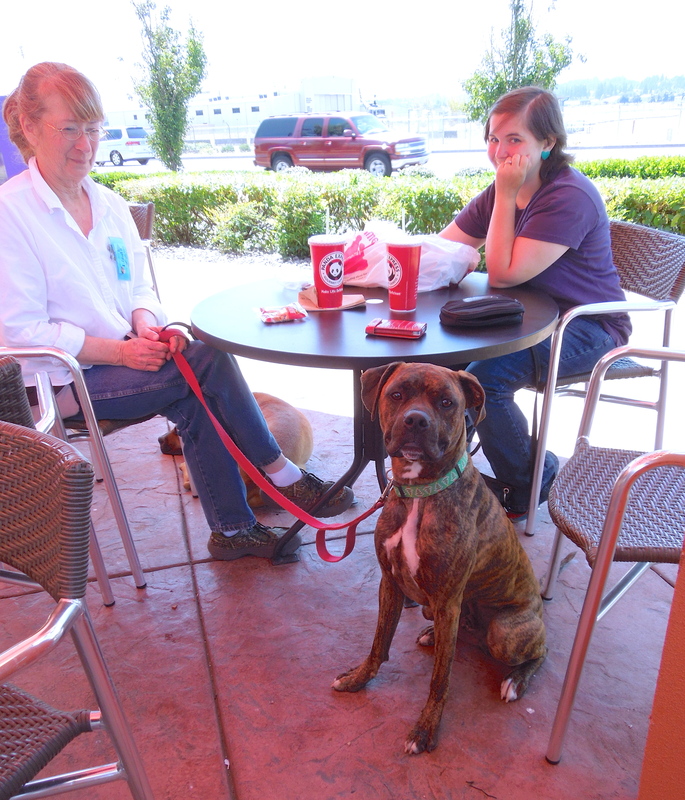 Gilbert looks so relaxed at his foster home, and Axel doing so well at Panda Express. 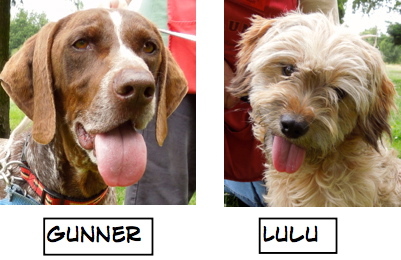 I always love the (dog talk) you put in for the play group pictures; always so appropriate. Glad to see Princess with a nice family. I really liked her. I hope Rocket gets a good home; I got attached to him giving him some extra play time; he really likes a good cuddle and scratch.